If you're iOS jailbreaker, please make sure you have saved your SHSH blobs before upgrade your iOS firmware. If not, you could risk losing the ability to jailbreak in future. So what is SHSH blob? Why is it important? It is secure signature hash which contains your iDevice's ECID and being used to control which iOS firmware is downgradable. 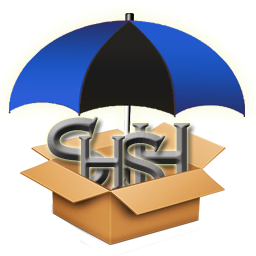 Although Cydia will automatically save SHSH blobs to their server for you if your iDevice have ever jailbroken before, we still recommend you to save your blobs locally on computer. The size of the SHSH blobs are so small, and you just never know when those will come in handy. If you have ever connected your iDevice to your computer before, it is optional to connect your iDevice because TinyUmbrella can spot all your iDevices and shows under Recent Devices category. Otherwise, connect your iDevice via data cable. Select the iDevice you want to save SHSH blobs. Take note on the directory where your SHSH will be saved. You may change it to any location where you can easily find. Else, leave it as default location. Uncheck Request SHSH From Cydia will save your SHSH blobs which Apple is signing. Note that Apple will sign older SHSH in certain period of time. When Apple stop signing older SHSH, there is nothing we can do about it. Click Save SHSH and you will see the spinning wheel besides your iDevice's name. So there you have it. Your iDevices SHSH blobs are saved in the directory where you've set to save your SHSH. 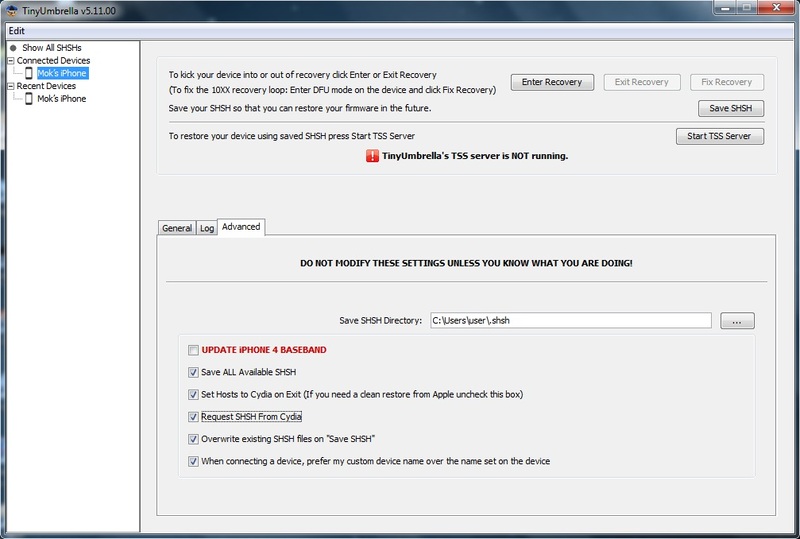 With SHSH blobs, you can downgrade iOS firmware with RedSn0w.